The Maryland Constitution of 1776 was the first of four constitutions under which the U.S. state of Maryland has been governed. It was that state’s basic law from its adoption in 1776 until the Maryland Constitution of 1851 took effect on July 4th of that year. On August 1, all freemen with property elected delegates for the Maryland Constitutional Convention of 1776. They began meeting on August 14, drafted the constitution, and adjourned on November 11th. The document was not submitted to the people for ratification. The Assembly of Freemen would not meet again, as it was replaced by the new state government established by the 1776 constitution. Thomas Johnson became the state’s first elected governor. 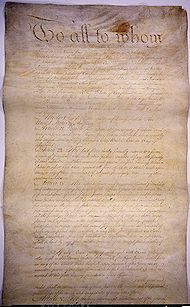 The document included a Declaration of Rights. This, among other things, ended the position of the Church of England as the state-supported religion, and granted all Christians, including Roman Catholics, freedom of worship. Free blacks who met the property qualifications continued to be eligible to vote. The declaration was more than a bill of rights, which enunciates certain rights which are reserved to the people. The declaration stated that all power emanated from the people and that the governors were accountable to the people. Despite the declaration that all power emanates from the people, the document kept political power in the hands of the elites. Only males citizens who met a minimum property requirement could vote. Slaves and women could not vote, nor did they have equal rights to men. 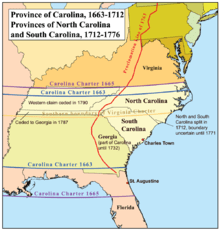 Only Christians could hold office until 1826, when legislation was adopted allowing Jews to hold office and have equal rights and privileges with Christians. They directly elected delegates to the Maryland General Assembly and indirectly elected State Senators. Voters would elect Senatorial Electors every five years. These men would then meet together to elect a fifteen member Senate, nine members from the Western Shore and six members from the Eastern Shore. If a Senate vacancy occurred between elections, then the Senate itself selected a replacement. The Governor was elected by the joint legislature, not by the people directly. And most local offices were appointed by the Governor, with the concurrence of his Executive Council. 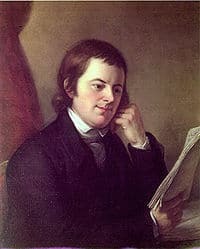 The 1776 constitution was amended several times, most notably in 1837, to, among other things, provide for a popularly elected governor, instead of one chosen by the legislature. The constitution was initially about 8,800 words long. The several amendments added to it between 1792 and 1846 brought its total length to about 15,200 words.